Listening to some Ella Fitzgerald, Louis Armstrong or Miles Davis while sipping a glass of crisp, dry white wine and gazing out at the ocean is – for me – pure summer magic. 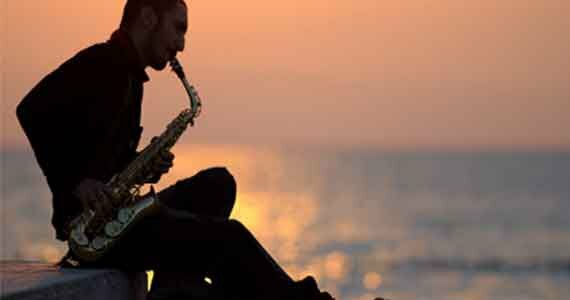 One of the reasons I love summertime is because I associate it with the sound of jazz. In most cities and towns, musicians gather together and jam outdoors – usually at local cafés, bistros and bars. Whether it’s a lone sax player, a jazz quartet, or a singer belting out some husky vocals – I just drink it all in. It feeds something in my soul. I can’t explain it and probably shouldn’t even try. Across the globe (in the northern hemisphere), it is the high season for jazz festivals, where you can listen to jazz in the afternoon or under the summer evening stars. Below is a list of some of the poopular festivals. It is by no means an exhaustive list, so please check your local newspapers (or online) for jazz events in your area. This entry was posted in heatherfromthegrove, inspiration, other musings and tagged Beaches International Jazz Festival, Ella Fitzgerald, Festival International de Jazz de Montréal, Heather Joan Marinos, Heather Marinos, heatherfromthegrove, jazz, jazz festivals, jazz music, jazz musicians, jazz quartet, Jazzing it up, list of jazz festivals, Louis Armstrong, Miles Davis, Monterey Jazz Festival, Montreux Jazz Festival, summer, summer jazz festivals, summertime, tenor sax. Bookmark the permalink.